The Mark’s Fireworks Factory Outlet Story. Mark’s Fireworks has been in the business of selling the highest quality fireworks at the lowest possible prices for more than 19 years (established in 1999). 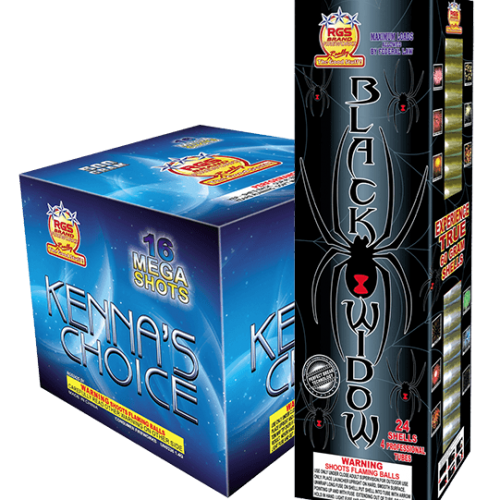 From our very first RGS item developed (Kenna’s Choice) to our new 2018 line-up, Mark’s Fireworks takes great pride in the quality and performance of our fireworks. Yearly trips directly to the factories in China ensure this quality and have given us the opportunity to develop our own brand of fireworks. We maintain a close personal relationship with our distributors and communicate with them on a daily basis. We test thousands of items each trip to eliminate the weak products and further enhance the strong products. When you walk into one of our stores located all across the states of Indiana, Kentucky and Illinois you will be greeted by a Mark’s associate that has excellent product knowledge and experience in the fireworks business. The best choice for fireworks is the Really Good Stuff Brand Fireworks! Our team members are thoroughly trained in the art of fireworks and have a vast knowledge of our products. These are not just cashiers in our stores; they are truly fireworks professionals who take pride in their work and love their jobs! We build Custom Backyard Shows! Crowd pleasing finales are our specialty! Develop shows to fit any budget! Group discounts available for volume buyers, neighborhoods, church groups, etc. Our “RGS” Brand exclusively at Mark’s Fireworks stores. High quality fireworks at unbeatable prices. In-store videos to help you choose your favorite fireworks. Check out some of the local organizations we support.